On this page are some images showing items I typically work on. They are a random collection of photographs taken in my workshop and show different stages of repair or parts being made. 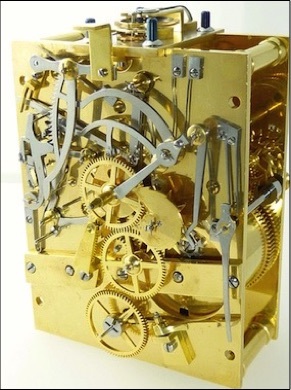 I do full restorations of complicated horological mechanisms such as repeaters, chronographs and automata. 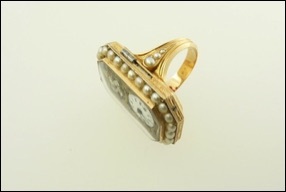 Watch and clock parts needed for restoration work are made in the workshop whenever required. 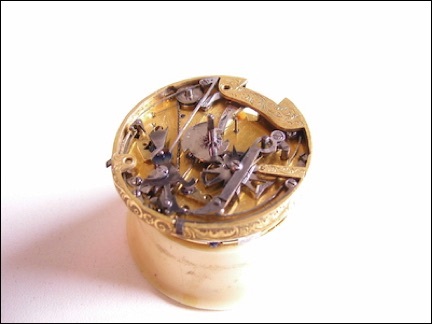 A very fine example of a complicated repeater ring watch with automata and a Comma Escapement in an 18ct gold case. It has a diamond set visible balance wheel. It is one of the nicest watches I have worked on. Although only about 30 x 20mm in dimension it has beautifully shaped levers and striking racks with the the escapement concealed under the bell. When the watch arrived in my workshop, the movement was completely seized with dirt and congealed oil residue. 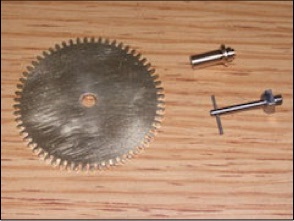 After the completely dismantling the movement it was found that a new return spring had to be made.  On the right is the restored movement. 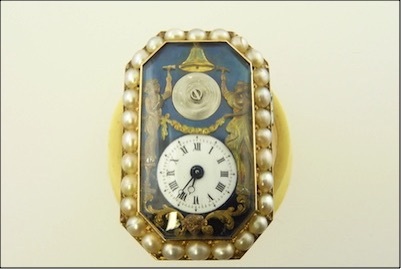 The watch was sold by the owner at an auction in Germany and fetched a six figure sum. 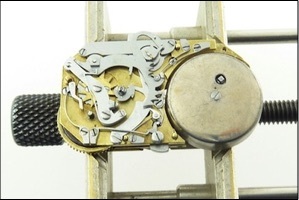 A nice example of an early French repeating pocket watch movement with verge escapement. 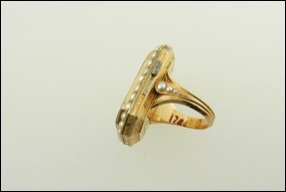 The movement has been removed from its case to be overhauled. 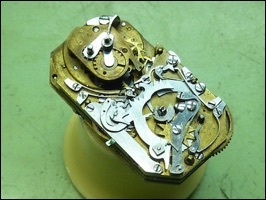 Repeater pocket watches often suffer from broken levers and springs due to overuse of the repeating mechanism combined with poor maintenance. Replacement parts will almost always have to be remade by hand. 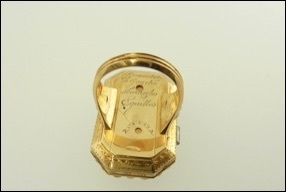 Here is an example of a Swiss pocket watch repeat lever which had broken in half. The old part is arranged on a strip of EN8 carbon steel coated in beeswax. 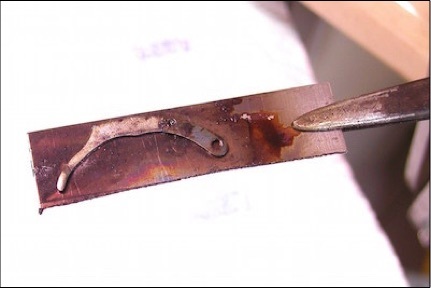 The strip is then gently heated over a soft spirit lamp flame until the wax is discoloured. 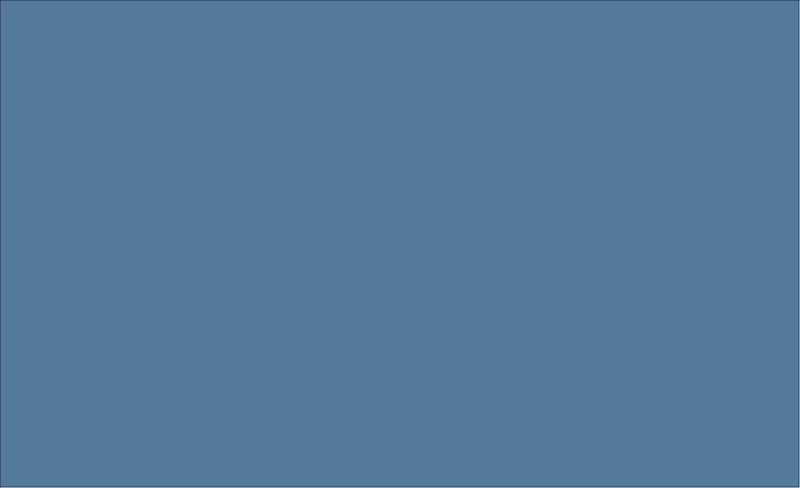 Once the broken parts are removed, they have left an image on the steel which gives the approximate outline of the new part to be cut out. 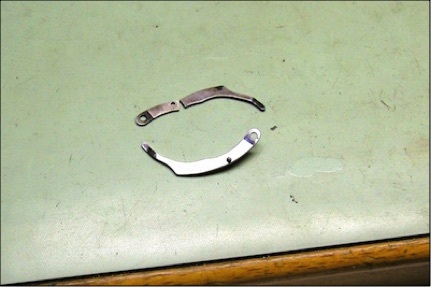 The right image shows the new lever next to the broken part, ready to be hardened, tempered and polished. 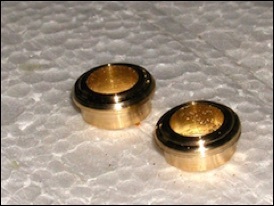 The part has to be tested in the movement before and after hardening to ensure its correct function.